“Our foster dog is in.” Customers need only glance at the neatly printed blue and white sign on the door at Carson Hearing Care to know that they might be greeted by a little four-footed guest. In the past two years, Robin Carson, doctor of audiology and owner of the Camp Bowie Boulevard clinic, has fostered and adopted out 26 small dogs for Saving Hope, a local rescue organization. 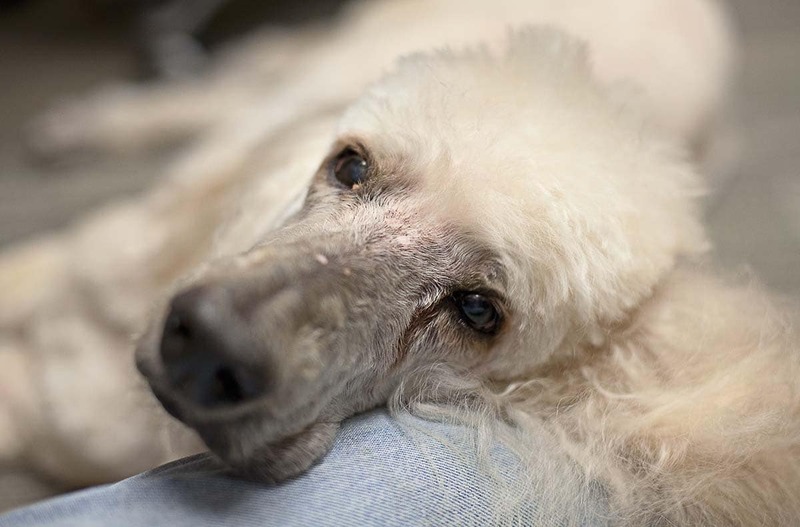 That’s 26 dogs rescued from the streets and from large-intake groups such as the Humane Society of North Texas and the city shelter. That’s 26 dogs that went home with Carson in the evening to be loved on and cared for by her and her family. 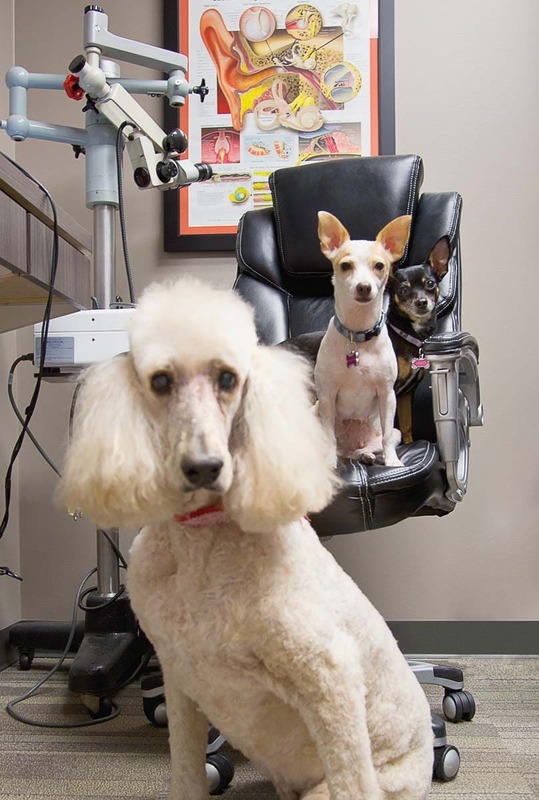 Perci, above, and Adele, the white Chihuahua mix, below, found permanent homes with Robin Carson, owner of Carson Hearing Care. Robin has helped find homes for more than 25 dogs by fostering them and taking them to work to give them more exposure to potential adopters. Adele and Perci also have a big “brother.” Pierre, adopted years ago from a Weatherford shelter, was already part of the Carson pack. 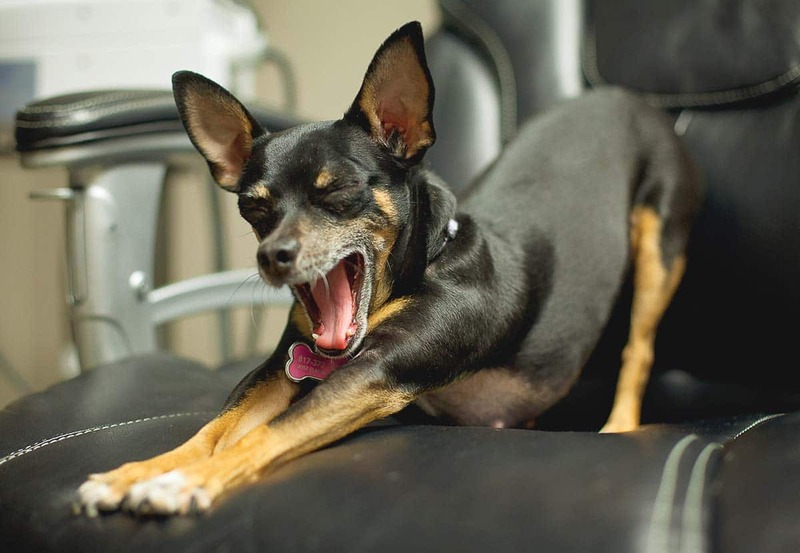 Being able to take your dog (foster or otherwise) to work is easy when you own the business. Carson opened her clinic in 2013, expanding the office and her staff over the past six years. She credits (or blames, she says with a smile) her kids for introducing her to the world of animal rescue, which for them started with a mother cat and kittens. “My daughters introduced me to the mom of some of their friends,” says Carson. That mom is Lauren Meekins Anton, one of the forces behind The Saving Hope Foundation. The nonprofit was launched in August 2012 by Fort Worth philanthropist Kit Moncrief, her daughters and a dedicated board of directors. Its aim then and now was to reduce the number of unwanted animals by promoting spaying and neutering, to provide education and resources, and to find homes for those animals that do end up in shelters. Anton has become one of the most active members, routinely fostering dogs and recruiting others to do the same. Over the years, she has donated several thousands of dollars to causes such as Saving Hope and Meals on Wheels by donating proceeds of battery sales. The office also sets up an angel tree for a local nursing home and collects gifts for the residents. Adele strikes a pose near a hearing aid display. Carson warns that dogs are as fond of them as they are of chew toys due to the scent of ear wax. Pierre relaxes on the photographer’s leg. Having your picture made can be a tiring experience. “Perci and Adele stole my heart. She and Perci were soul sisers and needed each other,” says Carson. While Pierre is a homebody, Perci and Adele make occasional office visits if Carson is between foster dogs. “People have come to expect dogs in the office,” says Carson. 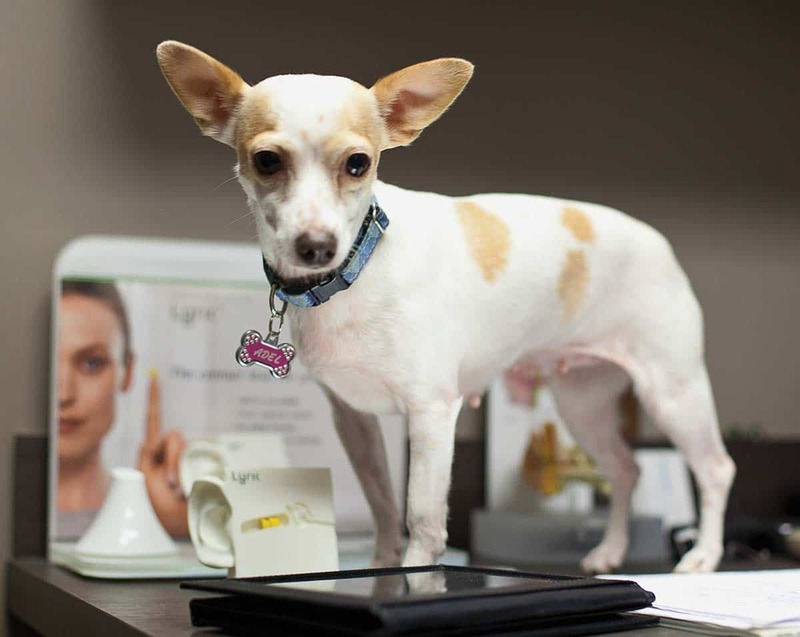 And for Chico, Wendy, Belle, Louis, Misty, Penny, a one-eyed little dog named Picasso and others, the office has been the place to find new homes and second chances. Carson Hearing Care 5104 Camp Bowie Blvd., 817-717-7999, carsonhearing.com. Follow it on Facebook @carsonhearing.care to see the lucky pups in the office at any given time. To learn more about Saving Hope, go to saving-hope.org. Special events Carson is hosting a pet adoption event along with Saving Hope 11 a.m.-2 p.m. April 6 in the office parking lot. Austin’s Underdawg food truck will be there, plus cotton candy, popcorn and other treats.